If you like to style your hairs with blow dry or hair straighteners, you should know the importance of to protect your hairs against heat of these tools. Using too much of these tools can weaken your hairs if you are not counter protecting them with heat protection products. 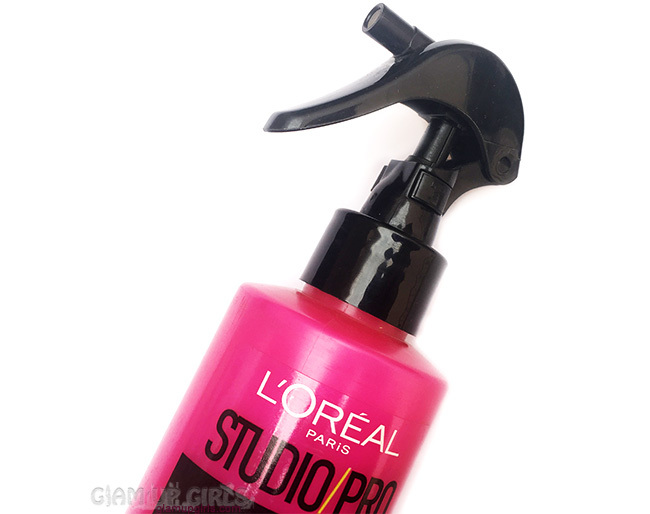 L'Oreal Studio Pro range have different products for different requirements like hot & straight, hot & sleek, hot & go. I don't use hair straightener as i have already straight hairs so i needed the one which provide volume. Hot and Big promises to provide volume with heat protection which i am using currently. Let get into the details. 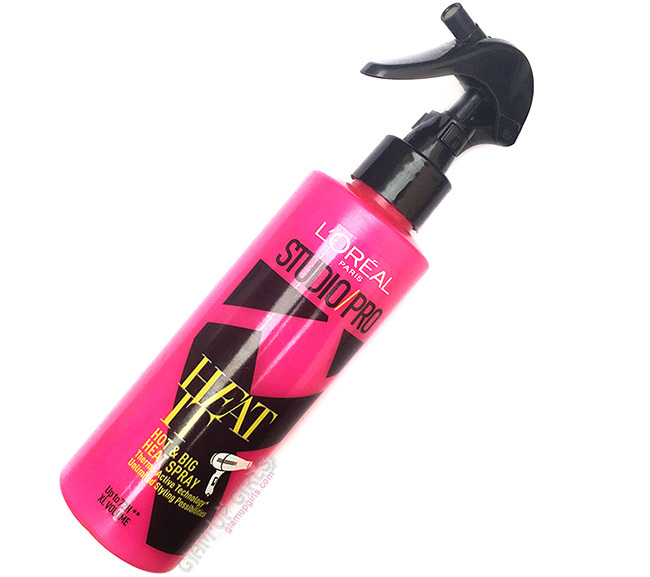 Our Ultimate Heat Protection Spray: Hot & Big. 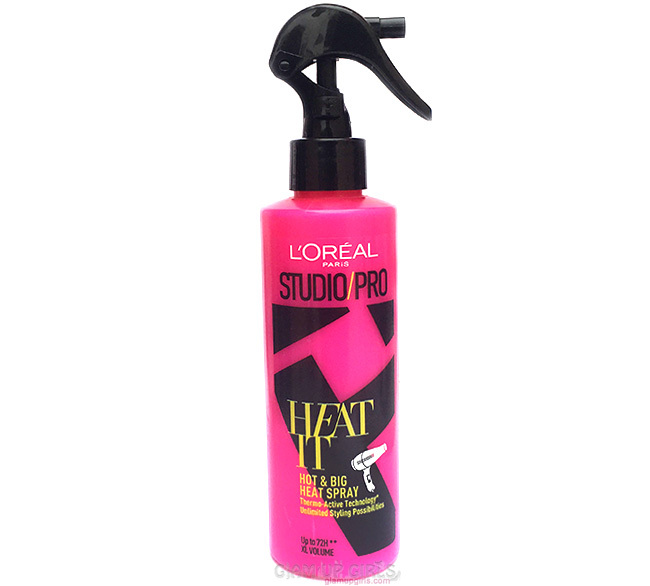 Reinvent yourself with Studio Pro's Hot & Big heat protection spray. A root-boosting amplifying spray designed to be used with a blow-dry to deliver long-lasting big and bouncy looking hair. Formulated for a soft satin touch. Give your hair a new dimension and boost your hair. Up to 3 days amplified volume, formula helps to control the appearance of frizz and flyaways. The packaging of this product is beautiful. I loved the hot pink bottle with black spray head. It is easy to use and convenient to spray as you required with control on it. It smells really good, although the scent is not lasting and fades gradually. 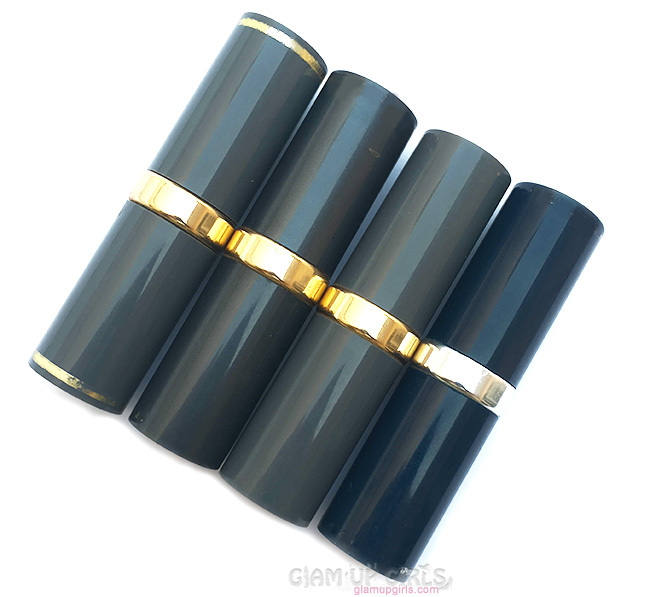 As it is meant to use with blow dry, it works on damp hairs, preferably after shampooing. To use this spray, first towel dry your hairs so they are not dripping. 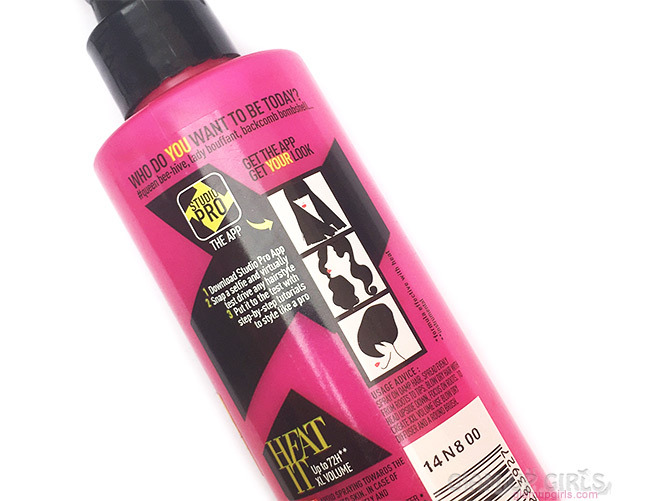 Spray this product on hairs so all hairs are coated properly. While spraying, part the hairs to coat the hairs beneath others. It is suggested to blow dry hairs with your head upside down. To go through with upside down head position, i first comb hairs so they wont become tangle mess. Start drying your hairs with blow dry. When you flip over, you will notice voluminous hairs compared to usual ones. You can either go with simple combing or brushing and style your hairs or use round bristle brush to get amazing blow dry big curls. Once you flip your hairs after drying from upside down head position, you will notice that your hairs are tamed and there are no flyaways and they looks so good that you do not need any more styling tools. If you have thin hairs or just want to get more volume, this spray is one you need. But if you like, you can go further for straightening or curling. I prefer hair straighter brush on iron straighter as they are less damaging. This spray is not sticky or makes your hairs too stiff like regular hair sprays. Instead they look naturally voluminous and healthy without flying them every where. They claim to retain this bouncy hairs for three days but i have to disagree as it stays great for whole day but after sleeping night they loose their volume a little. However you can go for simple blow drying next day without spraying this product and get little bouncy hairs. Overall i really loved this product. It protects hairs against heating tools, give great volume to hairs, tame frizzy hairs, help style them easily which lasts for whole day. It also smells good and doesn't make hairs sticky or stiff. If you are looking for product which will give your hairs volume then this must be your pick.